A Pictorial Tour of "Glen Allen"
The Jewish Community Center at Mayfield and Taylor Roads is no more. In its place is the rapidly rising Bluestone—a $35 million development of 79 flats and 31 cluster homes. 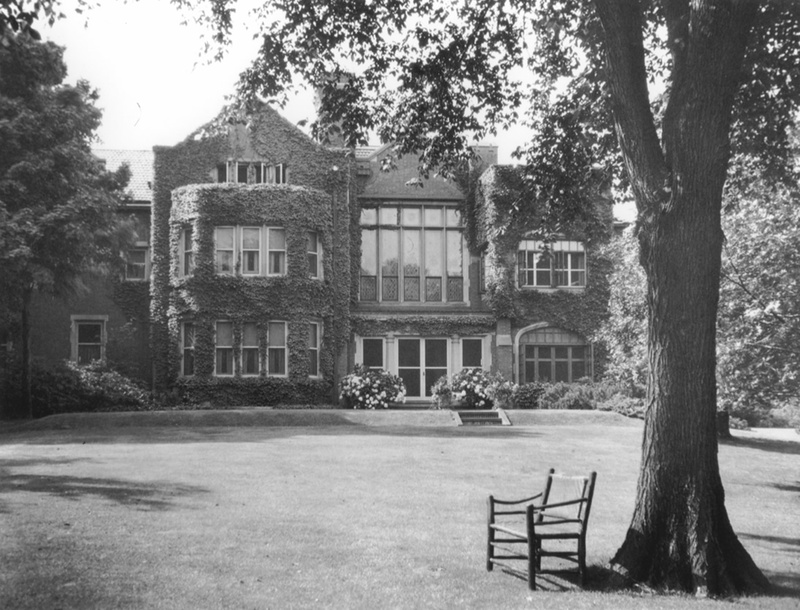 To commemorate this transition, View From the Overlook offers readers a brief inside/outside look at the glorious estate that comprised this space before the JCC (1960) and its surviving neighbor, Lutheran High School East (1957) were built. As readers may know, the intersection of Taylor and Mayfield Roads was epicenter of three magnificent properties. Longwood (built in 1904 by John L. Severance) occupied the land that now includes Severance Center and Millikin School, as well as most of Severn Road. 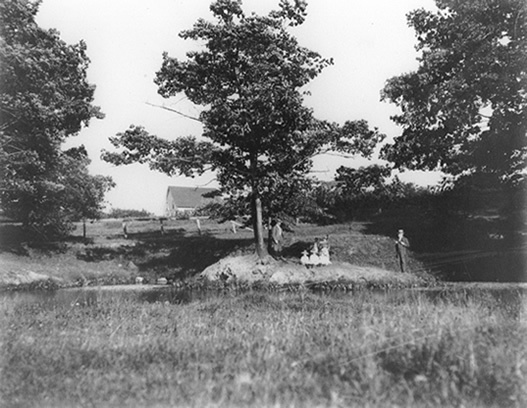 Ben Brae housed Severance’s cousin, Julia Severance Millikin, and sat on the land now used by the Cleveland Heights fire station and Council Gardens. 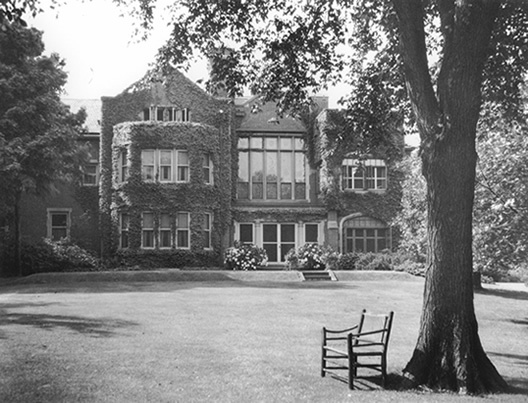 Glen Allen, constructed in 1915 by the recently widowed Elizabeth Severance Allen (John L. Severance’s sister), comprised the site later occupied by the JCC and Lutheran East. 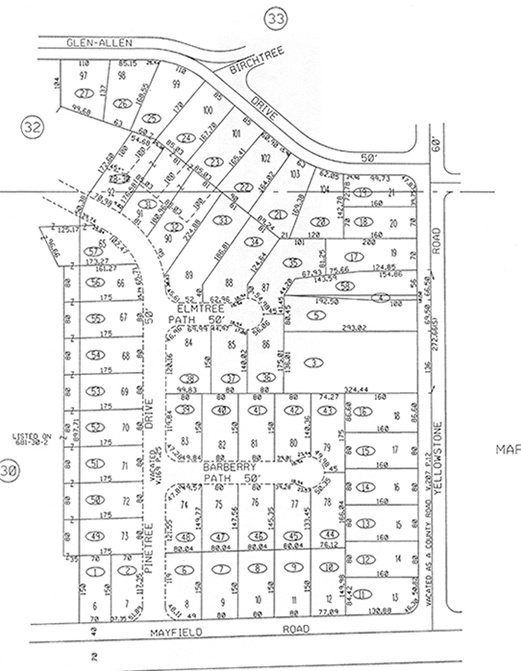 Her property stretched east all the way to Yellowstone Road and north to what is now Woodridge. 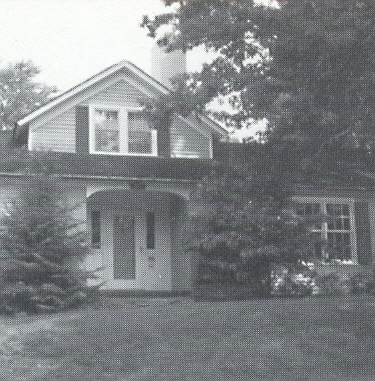 Both Glen Allen and Ben Brae had been “in the family” for several decades previous, serving as small summer farm getaways for relatives living on Euclid Avenue (Figure 1). Elizabeth Severance was married first to Dudley P. Allen (1852-1915), an eminent surgeon, professor, co-founder of the Cleveland Medical Library Association, and one of the first trustees of the Cleveland Museum of Art. In 1917, she married Francis Fleury Prentiss, founder of Cleveland Twist Drill Co. and president of Saint Luke’s Medical Center. Prentiss also was a director of Lake Shore Savings & Trust Co., Cleveland Life Insurance Co., Superior Steamship Co., Cleveland Graphite Bronze Co., Osborne Manufacturing Co., and Youngstown Steel Co. Established the Allen Memorial Library in 1926 in honor of her first husband. Launched the Elisabeth Severance Prentiss Foundation to promote medical/surgical care and research in Cleveland. In late June of this year, the Foundation donated $7 million to Rainbow Babies & Children’s Hospital. Succeeded her second husband as president of St. Luke's Hospital. Served as trustee of the Cleveland Art Museum and made gifts to its art collection and its endowment fund. Donated the building that became the first home of the Cleveland Heath Museum. Glen Allen was designed by the renowned architect Charles Schweinfurth, whose only surviving Cleveland Heights structure is the large mansion at 2504 Fairmount Boulevard. Glen Allen represented the English manor style of architecture (Figure 2). Like Longwood and Ben Brae, it was mostly brick, with stone detailing and a combination of gabled and flat roofs. An ornate metal and glass awning framed the home’s entryway. Inside, the walls were hung with French tapestries, important paintings and rare prints. 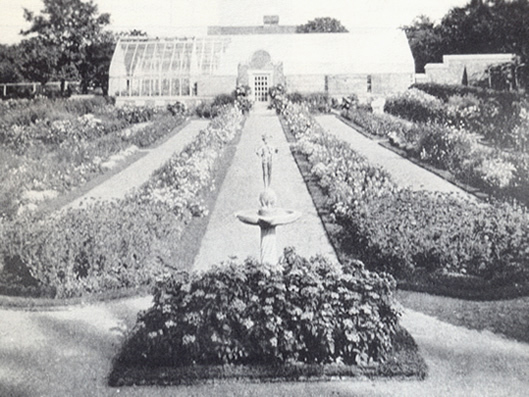 Extensive formal gardens surrounded much of the 45-acre property (Figure 3). 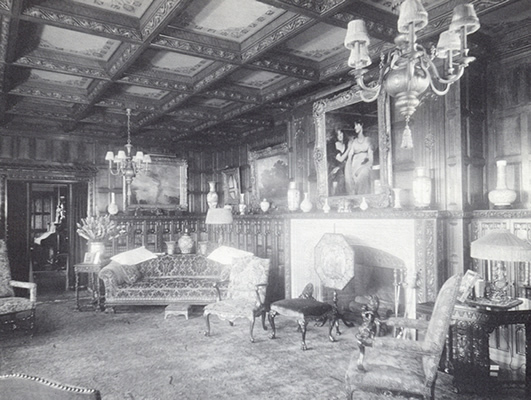 The house was demolished in 1945, one year after Ms. Allen/Prentiss’ death. 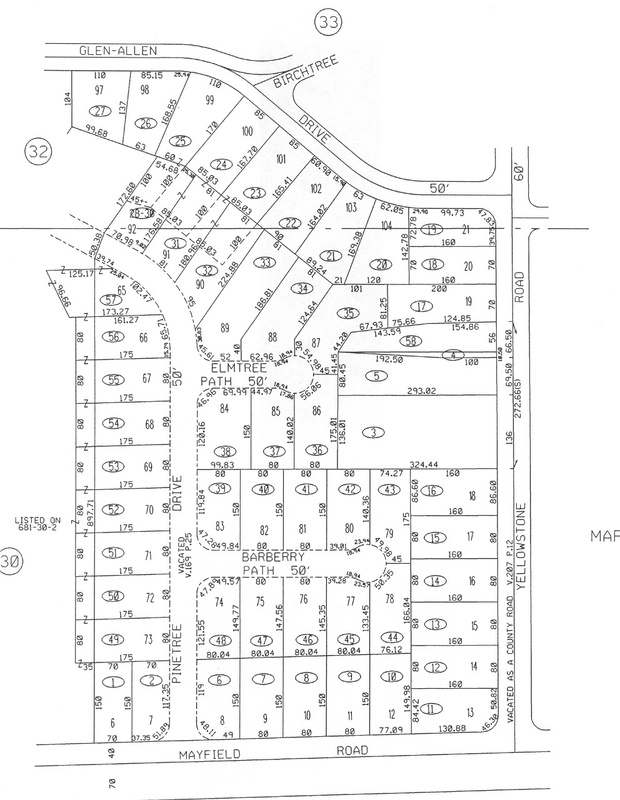 Interestingly, there was a partly successful effort to overspread the entire property with a housing subdivision to be called Prentiss Park (Figure 4). Some homes were built along Glenn Allen Drive and Birch Tree Path, but most of the property became the new homes of Lutheran East and the JCC three years later. Remnants of the Glen Allen estate are more numerous than one might imagine. They include the stone wall that runs along Mayfield Road; the stone pier at the southeast corner of the Lutheran East property; a bridge from the estate hidden in the rear yard of a Glen Allen Drive home; and possibly a low stone wall behind the homes on the south side of the streets near the intersection of Woodridge and Edison Roads. In addition several complete structures survive, including an old farmhouse at 3555 Birch Tree Path that the Allens incorporated into their property, and may have been used for hired help (Figure 5). With gratitude, the Cleveland Heights Historical Society acknowledges the use of information and/or photos previously published by the City of Cleveland Heights, the Landmark Commission of Cleveland Heights, Heights Community Congress, and the Encyclopedia of Cleveland History. 1 Photo from “In Our Day,” edited by Suzanne Ringler Jones, © Heights Community Congress, 2 2 Cleveland Heights OH. 2 Photo from “Focus on the Heights,” ©2005, City of Cleveland Heights. 3 Photo from “In Our Day,” edited by Suzanne Ringler Jones, © Heights Community Congress, Cleveland Heights OH. 5 Image courtesy of the City of Cleveland Heights. 6 Photo from “Landmarks”: The Landmark Commission of Cleveland Heights. 7 Photo from the Western Reserve Historical Society.